Every season the Martha Stewart Collection for Macy's hosts an event for journalists to come preview the new wares. 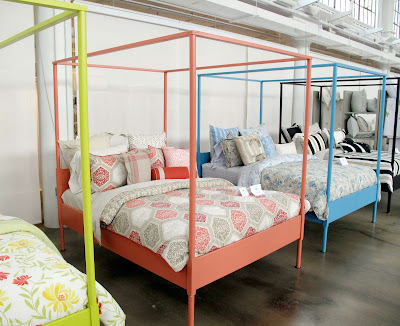 At a preview last spring, the Martha Stewart team presented the new bedding on a series of four-poster beds painted in bright colors, which coordinated with the bedding. I am almost certain the beds are IKEA's Edland bed frame (below). 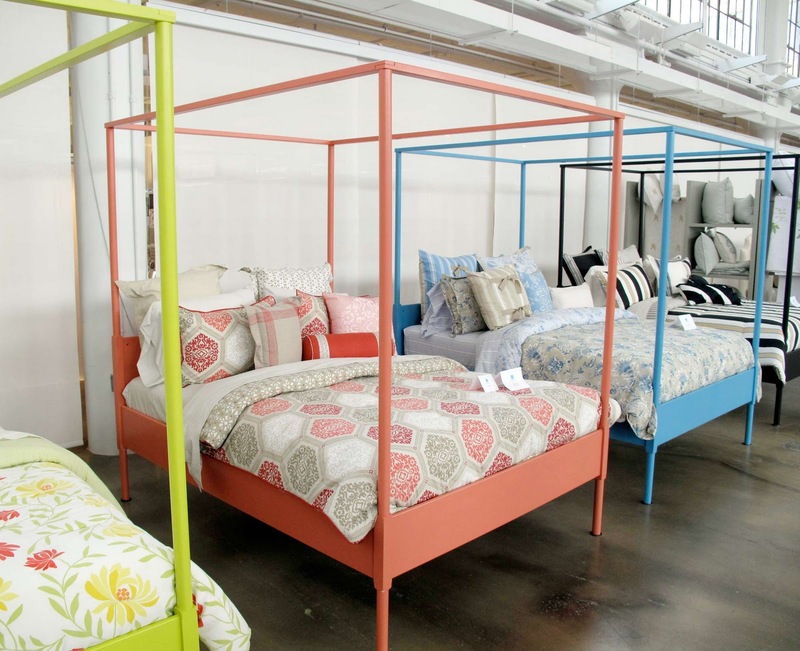 I love the idea of customizing an affordable bed with a custom coat of paint.